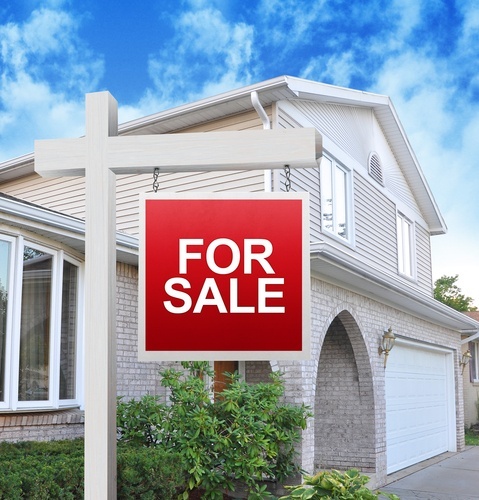 If you’re worried that you’ll be unable to sell your home if it’s on a busy street, don’t be. Although selling a home on a busy street can be a challenge, it doesn’t have to be a losing battle. You just need to know how to best market it and have a little patience during the selling process. In some cases, that busy street can even be a positive feature. Here’s what you need to do if you’re selling a house on a busy road. There are many factors that need to be considered when pricing a home for sale. One of those is the location, and living on a busy street can affect the value of your home. In most markets, you can expect a home on a busy road to sell for up to ten percent less than comparable homes on quiet streets. Work with a professional real estate agent who is an expert in your market to determine the best listing price for your home. If traffic noise is a real problem and you fear it will be a deal-breaker, consider ways that you can mask that sound with landscaping. You can build a fence in the front yard that helps to deflect sound. Another great choice is to plant a hedge or tall row of bushes to help absorb the sound from passing cars. In fact, the more plants, flowers, trees, and shrubs you have in the front yard, the better. Not only will they help to muffle the sound, they’ll create a lovely barrier between the road and your house. Curb appeal is essential when selling, and adding to the landscaping will certainly help in this area. You might also think about adding a water feature. The sound of running water is not only soothing, but it will help to mask the sounds from the street. Let’s face it — most homeowners tend to put more of an emphasis on the backyard, not the front yard. The backyard is where most of the socializing happens. You can make your home more appealing by creating a backyard oasis that is a sanctuary from the busy street. Set up a seating area and do some landscaping with plants and flowers. Show potential buyers what a restful retreat the backyard can be. If you’re really worried about selling your home, consider marketing it as a commercial property. Check local regulations to see if your property is zoned for commercial purposes. If so, a doctor, lawyer, or even a hair salon may love the location because it’s on a busy street. Finally, there are actually some upsides to selling a home on a busy street. For one thing, more people will be driving by your home, which means more potential buyers will see your signs. Living on a busy road can also be an advantage if a buyer is looking for a quick commute to work. It’s also great for those who want to live close to the action and who favor walking to dinner or stores. Be sure to highlight these hidden benefits when you’re marketing your home.